How lucky is Room 5? We have had another smiley face join us! 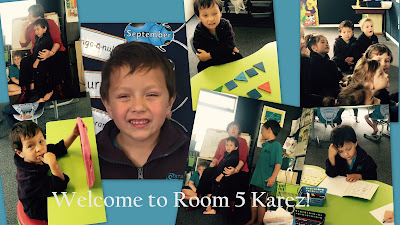 Karez had a great first week in Room 5 and has quickly settled in to our classroom. Karez came to us from ABC in Te Aroha ,and instantly recognised a few friendly faces. Karez loves to play on the back field with his friends Blake and Reef. His favourite thing in class to do is use the ipads.